What? Need something stylish and fun to wear for the office? We think the Emmi sling back is perfect for just that. 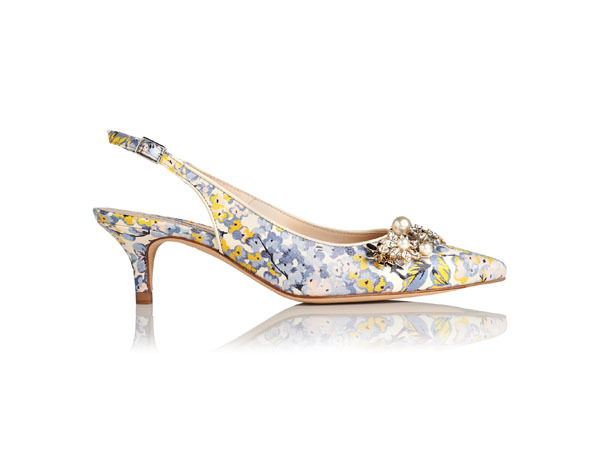 The classic shape has been given a twist with floral detail and a crystal and pearl brooch garnish. It’ll be a talking piece. Priced at £250.